I was talking to blemish one day in IRC and I found out he was working on a game project named Warsow. He gave me an alpha version of the game and I was stunned. Basically it is very similiar to CPMA, but with the addition of walljumps. It is using the Qfusion engine and is planned to be distributed freely. 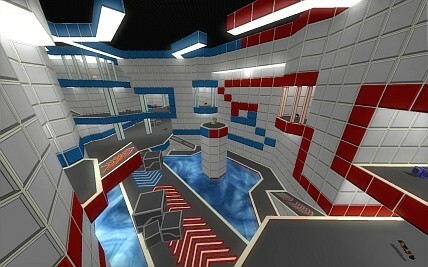 Below you can see some screenshots of my present map for Warsow, called Unbalanced. As I've said before, I'd make a map similiar to Jump.